What a weekend in Montreal! Steaming hot weather, the likes of which we have not seen much of this summer. Time to go out and enjoy it, before Fall actually decides to make a visit. 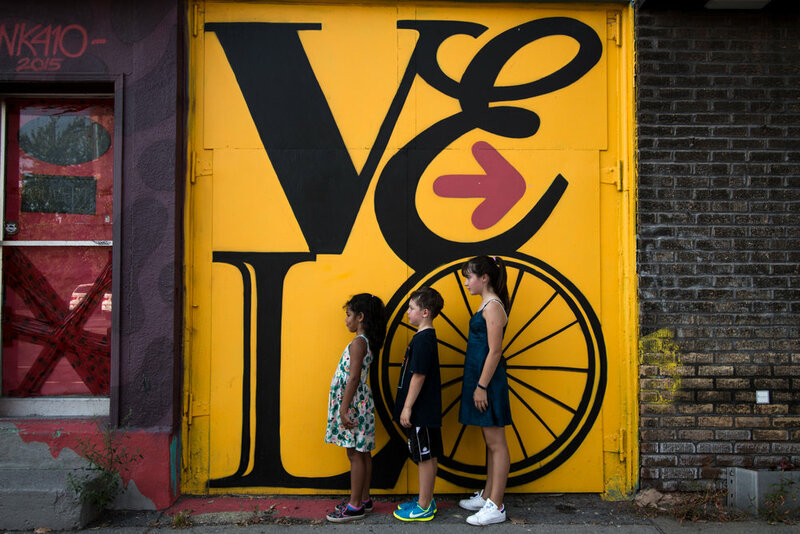 I took my daughter, niece and nephew out and about to visit the neighbourhood, partly to keep them occupied, but selfishly to get a few shots in for the blog! 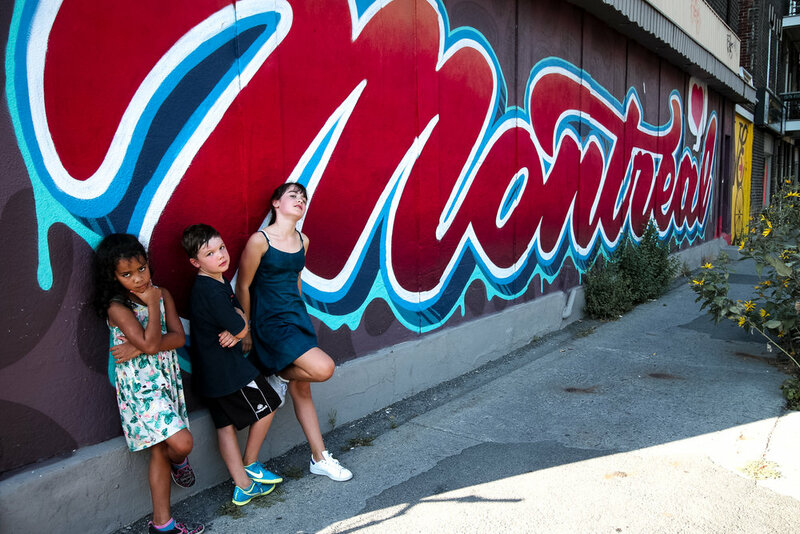 The city is filled with colourful, wonderful murals, so the kids and I decided to have a little fun. A little bit of attitude and a lot of colour go a long way to make some pretty interesting shots. Oser (Dare)! I think that as photographers, this is something we have to keep in mind at all times. I made the kids pose for the first picture. They worked hard not to giggle and stay serious. But as you can see in the 2nd picture, it's much more fun to goof off and be yourself! Clowning around can be so much fun. The girls re-creating some of the faces on this painted garage door. Missed the focus a bit on this one, but I loved it anyway. A little love from my lovely niece to close off this session. Although I love more spontaneous, documentary style photography, planned photo shoots can be fun as well. The kids loved it, it was a fun way to enjoy the afternoon. Now click here to visit Celina's post, who also made the most of the hot weather and enjoyed the water park that had yet to close in her neighbourhood. Then follow all of the other talented photographers' post to see how they enjoyed the heat wave. Have a great week!